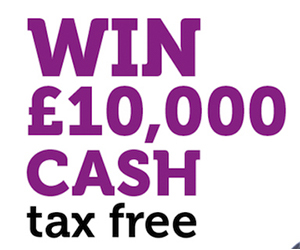 Grand prize of £10,000. All entries received will be entered into the 2018 Free Prize Draw. The closing date for entries is 31st December 2018. The prize draw will be drawn within 4 weeks of that date.